Brooks' legendary shoe just learned new tricks. Their latest Go-To-Shoe now has a GuideRails support system plus soft yet responsive cushioning. 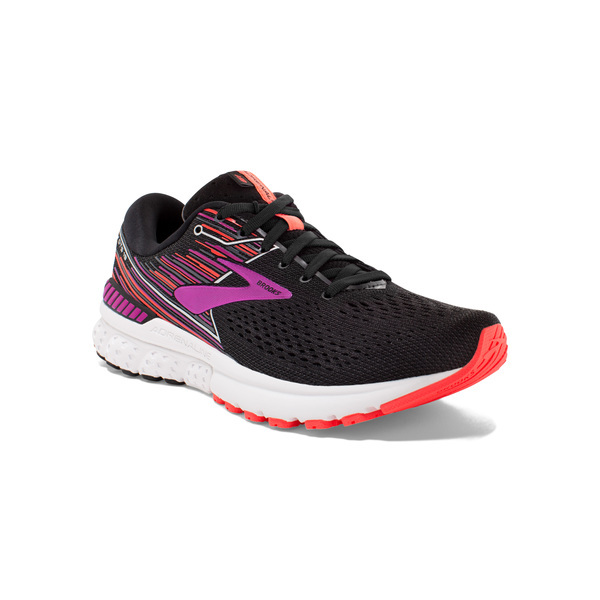 Same great fit and soft cushioning with improved support! Wider fitting 2E Width, Black/Purple/Coral.